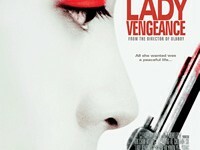 The third film from Chan-wook Park's revenge trilogy following "Sympathy for Mr. Vengeance" and "Oldboy". Lee Geum-Ja, at the age of 19, goes to prison for the murder and abduction of a child on behalf of her accomplice Mr. Baek, only to find out that she is betrayed. While in prison, she carefully prepares for her revenge by winning the hearts of her fellow inmates with her kindness, thus earning herself the nickname 'kind Ms. Geum-Ja'. Upon her release from prison after 13 years, she finally sets out to seek revenge on Baek, with the help of her former prison mates. But what about James Bond and My Fair Lady?